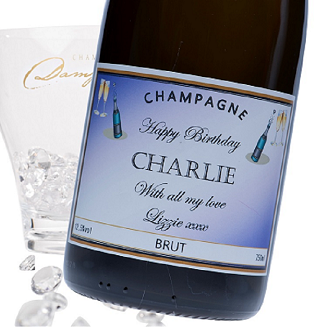 Stunning personalised Champagne all beautifully presented with a hand tied bow. Whether this is a personalised gift for a party, birthday, wedding, anniversary, graduation - have fun using our easy to use system. 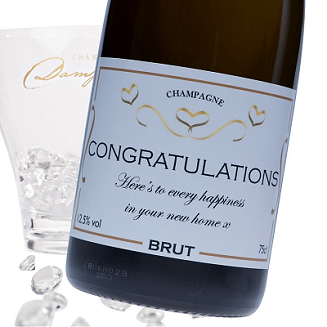 Add an extra taste of luxury to your personalised Champagne gift with our "Finishing Touches" selection. Choose a stylish gift box . . . hand crafted elegant Diamante Crystals which can be added to the label and/or bottle. . . the eye-catching New York linings . . . special "Message Scroll" and, of course, all our personalised gifts come with complimentary gift message card.